If you are, or will now receive a warning letter, you have no one to blame but yourselves. Labels mimicking food products. Blatant, literal and idiotic intellectual, trademark and/or copyright infringements and dumbass cartoons. What you thought were cute labels were clearly both the wrong choice and message to portray. Won’t somebody think of the ‘bad’ children? From reading the esteemed work of Professors Wayne Hall and Lynn Kozlowski, I have been led into the world of moral psychology as it applies to harm reduction and the attempt to explain the root of passionately held views. The modern day moral psychology guru Jonathan Haidt argues that trying to reconcile opposing moral positions will never work if neither side is prepared to acknowledge where the other side is ‘coming from’. The Science and Technology Committee continues its inquiry into e-cigarettes. This session focuses on the perspective of the vaping industry and the vaping community. The panel of witnesses will be asked about their opinion on aspects of e-cigarette policy, including regulation and advertisement. In 2012, Charles Koch argued “to end cronyism we must end government’s ability to dole out favors and rig the market.” Koch knows government goodies harm consumers by decreasing economic competition and innovation. Unfortunately, the U.S. Food and Drug Administration (FDA), a federal regulatory body that might as well be renamed the Pharmaceutical Department of America, has refused to heed Koch’s sage advice. Endlich “legales Nikotin” für die schweizer Dampfer! Switzerland made a quick response to the growth in popularity of vaping – and that was to crack down on it. Swiss smokers have struggled to access liquids and had to be prepared to cross borders to hunt out products. Finally, thanks to a court decision this week, the country is being forced to accept that electronic cigarettes are here to stay. It seems exceptionally off that the home to Squape, one of the world’s most well-known atomiser companies, should be anti-vape, but nicotine was banned and smokers faced an extra hurdle if they wanted to switch to a safer alternative. The journal Pediatrics recently reported that “there were more than 8,200 calls to US poison centers regarding exposures to liquid nicotine and e-cigarettes among children younger than 6 years of age from January 2012 through April 2017, averaging 129 calls each month or more than 4 a day.” (here) As I previously noted (here), annual exposures (which were 1,548 according to the Pediatrics article) should be considered in appropriate perspective. The FDA has issued 13 warning letters to merchants who make or sell e-liquid in containers that resemble food items, such as juice boxes and whipped cream cans. The action was taken in conjunction with the Federal Trade Commission, which has a better legal claim to jurisdiction over packaging than does the FDA (despite their assertions). If this was all there was to it, it would be a useful and clearly legitimate regulatory action. Unfortunately, the FDA could not resist the opportunity to promulgate disinformation and try to use this to support their manufactured panic about vapor products being marketed to children. Claiming that children’s lives are being put in danger because of the potential to mix up eLiquid with real food, the Food and Drug Administration (FDA) has written to a number of companies demanding they change their product design. The FDA appears to have an issue with cartoons, flavour descriptions and colours. Substantial steps forward have been made in the understanding of the role vaping can play in reducing harm for tobacco smokers according to the latest review by public health academics. The paper addresses all of the criticisms of electronic cigarettes and cites useful resources to combat the negativity. According to the National Tobacco Reform Initiative, misperceptions that nicotine is the harmful part of tobacco are one of the biggest barriers to encouraging adult smokers to switch to nicotine products that do not burn.Nicotine doesn’t cause cancer and, in small doses, may contribute minimally to cardio-vascular disease. In contrast, cigarette smoke contains 7,000+ chemicals, including carbon monoxide and 69 known carcinogens, and causes almost half a million premature deaths in Americans every year. Public-health policy — especially regarding children — is being driven by the Voltaire Rule: The perfect is the enemy of the good. Take the current mania about vaping and, most recently, a product called Juul. News reports are replete with high-school officials fretting about how hard it is to monitor the product because it looks like a flash drive and doesn’t produce the same smoke as traditional cigarettes. A new study from Iceland’s Directorate of Health shows that smoking in Iceland is on the decline, with evidence that the use of e-cigarettes may be contributing to a decrease in the consumption of traditional cigarettes, RÚV reports. Although these are viewed as positive trends, some in the medical community fear that parliament’s proposal for new restrictions on e-cigarettes could negatively impact the trend away from traditional tobacco use. In June, voters will choose whether to uphold the Board of Supervisors’ ban on flavored tobacco, including flavored cigars, smokeless tobacco and vaping, on Proposition E. I’m proud to work with the campaign to oppose the ban and support choice. There are three reasons the ban is a bad idea for the people of San Francisco: It will increase police abuse, rob small business owners of much-needed sales and deprive The City of tax revenue. Thys Visser, the late CEO of investment holding firm Remgro, is credited with having said something to this effect: “There are more serious problems than smoking a cigarette.” Of course, Visser had to say that — he made a living from manufacturing cigarettes. No doubt he was reacting to the trend of regulating the trading and smoking of cigarettes that has squeezed the industry across the world. In an effort to limit smoking — due to its harmful effects on public health — SA outlawed the advertising of tobacco products about 20 years ago. Russell Bowden fights back tears as he talks about the addiction which kept him hooked for nearly 30 years. The 43-year-old smoked cigarettes from aged 13 to 40. He quit the smokes when he discovered vaping and hasn’t looked back. If fact, he believes in the alternative so much that he has opened a vape shop on Stafford St, Timaru. Vape Crew Timaru has its official launch on Friday where Bowden will offer a range of vaping products. Rewind to 2015 when Bowden and his partner were spending about $200 a week on tobacco. The New Zealand Government adopted the “Smokefree 2025” policy in March 2011. The aim of the policy is to bring smoking rates to below five percent of all population groups by December 2025. Arguably, the main measure for achieving this goal is the attempt to make tobacco products less affordable. Since 2011 the government has imposed an additional 10 percent excise tax, plus inflation, on tobacco products annually. Whilst it may be a noble goal, is this the least harmful way to reduce the harm that tobacco causes? This month’s issue of Pediatrics contains a study that plumbs new depths of ludicrous. 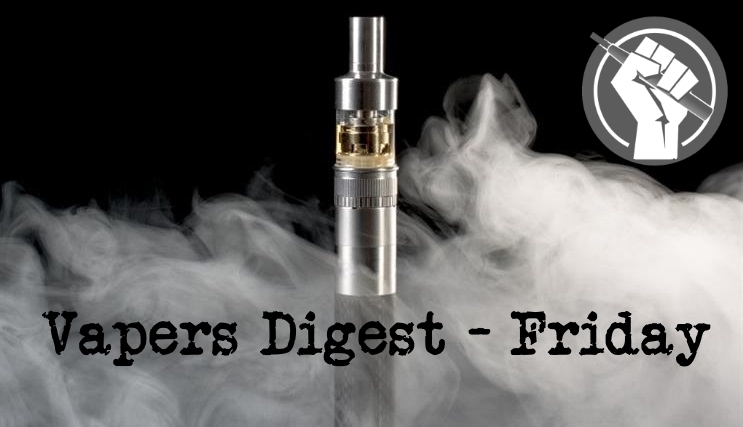 The American Academy of Paediatricians (AAP) conducted a farcical exercise in data manipulation in order to come to the conclusion that if teens vape then they will go on to use cannabis. Despite health minister Kalicharan Saraf’s assurance and directives passed to ban e-cigarette in Rajasthan, it seems that the state health department is not serious about banning the deadly poison that is fastly catching up in the youth. Health activists have shown concern that instead of doing serious efforts to ban e-cigarette, health department officials are delaying the process. NNA contends that snus fulfils the criteria for a tobacco harm reduction product and hence should be available in the UK. The legal ban on snus denies smokers of the choice of a much safer nicotine product than cigarettes. The introduction of snus into the United Kingdom would form part of a coherent strategy of tobacco harm reduction that help people avoid smoking. The current scientific evidence, and the fact that Sweden, where snus is used, now has the lowest lung cancer and tobacco-related mortality in Europe, indicates that snus is a suitable and appropriate product for individuals who are seeking to avoid smoking and other combustible tobacco products.